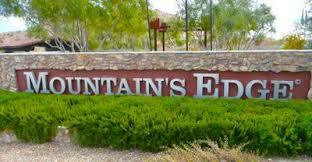 Homes for Sale in Mountains Edge. Mountain’s Edge has established itself as the leader among Las Vegas master plans, and has consistently ranked as the best-selling master planned community in Nevada – and is also named among the country’s top master plans by national real estate advisory firms. In addition to offering the most desirable and modern Las Vegas new homes, the community has an entire network of existing and planned schools, professional offices, restaurants, and neighborhood shops – ranging from convenience and grocery stores to nearby malls and outlets. Beyond our neighborhoods, you’ll also appreciate that Mountain’s Edge is just a short drive from the amazing food, shopping and entertainment offerings of the Las Vegas Strip. Contact Tracy Drown at 702-245-9341 for Real Estate. Watermarke is a premier gated community located in Mountain's Edge that features upgraded modern condos. Each residential space provides value and comfort with modern features from Lennar x2019;s Everything x2019;s Included xAE; package, showcasing upgraded tile floors, GE xAE; kitchen appliances, granite countertops, USB outlets, and much more. Watermarke is a premier gated community located in Mountains Edge that features upgraded modern condos. Each residential space provides value and comfort with modern features from Lennar x2019;s Everything x2019;s Included xAE; package, showcasing upgraded tile floors, stainless steel GE xAE; kitchen appliances, granite countertops, USB outlets, and much more. Formal model, this gorgeous home has impeccable finishes throughout each & every room. Stacked stone in the living room with custom built-ins. Kitchen has beautiful modern stone & custom cabinets/lighting. New frameless master shower! Color palette is neutral throughout and nestled in amongst the trees, the home gets beautiful light both morning & afternoon. Close enough to the gym & pool to enjoy without being on top of it. Simply beautiful. Ready 2 Sell! Desirable end unit with 2 car garage. xA0; Pride ownership of 3 bedroom, 2.5 bathroom upscale condo with attached 2 car garage. Island kitchen opens to spacious living room with fireplace. xA0; Built by Meritage Homes in the Watermarke gated community in Mountain's Edge! Community pool & spa with BBQ area. Recreation facilities with billiards room and gym. Easy Guest parking. Traditional sale. xA0; Tenant occupied until April 30. Three bedroom two bath townhouse kept in excellent condition in Mountains Edge. Pride of ownership evident throughout the home. HOA community includes work-out room, event/social hall and pool with plenty of room for enjoying the outdoors. Refrigerator, washer, dryer and water softener all convey with property. This townhome is ready for you to move in and make it your own.